'When she was little she was obsessed with me - if I didn't play with her or sit next to her she screamed her head off. Then one day she replaced me with a Captain crunch cereal box.' When Sarah, a young woman with Asperger's Syndrome, comes to visit her sister and brother-in-law, what starts as a fortnight of family holiday spirals into a nightmare of accusation and intrigue. A love triangle with a dangerous twist, this moving and funny play explores the everyday dilemmas of a young woman living with autism: what to eat, what to watch on TV, and how to seduce your sister's husband with a piece of cake. 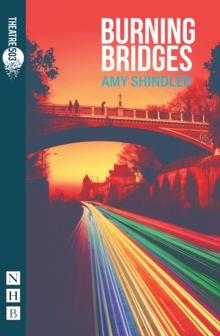 Amy Shindler's Burning Bridges premiered at Theatre503, London, in September 2016.